The French have gotten it right in so many ways. The French “joie de vivre” is all about exacting every ounce of pleasure out of life. They have achieved this in their buildings, in their art, in their cuisine and in as many aspects of daily life as possible. There are many special moments to be experienced in France. Just a few examples include biking through Burgundy, hot air ballooning over the chateaux of the Loire Valley, tasting your way through Paris with a gastronomy insider, seeing well-preserved remains of where the Romans made wine nearly 2000 years ago, spotting a sea of lavender in the fields of Provence and experiencing market day in small towns throughout the country. CORK & TEE’s goal is to help you fully experience this great culture in all its facets, taking full advantage of all the glories of France. It is a surprise to many that France boasts more top-ranked golf courses than any country in Continental Europe – including Spain. Challenging golf may be experienced in all corners of the country. One of our favorite courses is Les Bordes, a Robert Van Hagge masterpiece carved out of the Sologne Forest near Orleans. On the fringes of Paris, fabulous golf can be played at venues such as Golf National L’Albatros, host to the 2002 French Open and recently ranked as the 14th best course in Continental Europe. 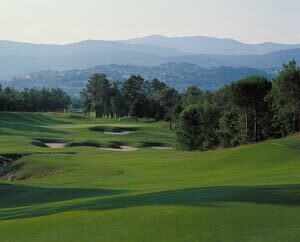 The South of France is home to the largest concentration of championship courses in the country, offering golfers a contrast between the old and the new with rounds at the historic Cannes-Mougins Club and the upstart Chateau Course of Terre Blanche. In the Southwest near the resort town of Biarritz, a number of challenging courses await. Share with us your preferred region and CORK & TEE can guide you to the most appropriate golf properties for your group. 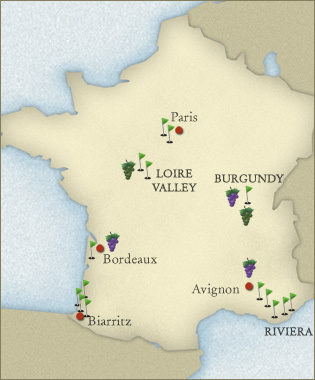 While French wine and cuisine need little introduction, it is CORK & TEE’s goal to provide you with greater knowledge about French wine, whether it’s classic Bordeaux, elegant Burgundies, complex Rhone wines or fruit-driven whites from the Loire. Our guides have years of experience in the wine trade and can tailor experiences to your level of expertise and help you meet some of the most interesting people in the world of French wine. Learn how the French have taken food and wine pairing to a high art. 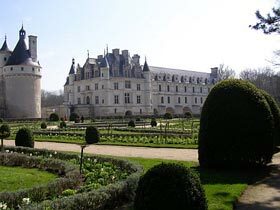 Have your choice of accommodations in France, but let us help you make the right choice. Do you stay in the heart of Avignon in a delightful boutique hotel or do you prefer to stay in the countryside in a Relais et Chateaux-style manor house? In the Riviera, is it best to stay alongside the sea or in the nearby hills? What’s new on the accommodations front in Paris? Can your group take over a Chateau? We’ll help you answer all the questions and stand ready to propose a complete itinerary that will enable your group to experience France the way it is meant to be experienced.